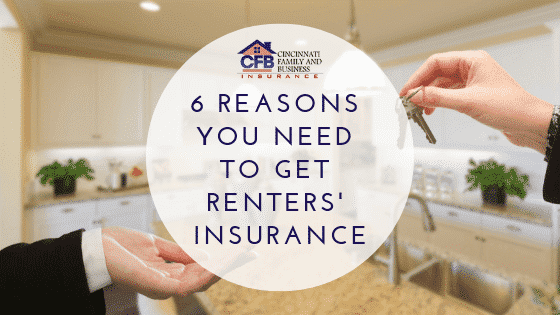 If you’re renting an apartment, condo, or home, then you’ll need an additional renters’ insurance policy to cover your personal belongings. Even if you feel like you don’t need insurance, here are some reasons why you should get such a policy. It can cover your personal property in the event of a flood or a fire. Certain things like your television set, laptop, or furniture are often not covered under your landlord’s policy. Renters’ insurance allows you to cover the costs of your personal belongings. Determine the actual cash value of your belongings. The Actual Cash Value or Replacement Cost can help you fix or replace some of your belongings. The Actual Cash Value will reimburse you for the things that got lost or damaged. You might think you’ll never get sued. What happens if you get into an altercation with a neighbor over a noise complaint? What happens if you accidentally leave the oven on and it causes a fire to spread to the other apartments? If you’re negligent or at fault, then you may have to pay up. Liability coverage can help cover some of those costs and any additional expenses for which you’re held accountable for. If there’s a natural disaster in your area that makes conditions unliveable, your insurance may be able to cover the costs of additional living expenses for when you need a temporary place to stay. If your apartment costs less per month than your temporary location, then your insurance company will make up for the difference. It gives you peace of mind, knowing that you’ll have a temporary place to stay when needed. It can help you cover additional expenses such as temporary living, food, and other items. Check with your insurance policy to find out what “additional living expenses” it covers and for how long. Find out if there’s a cap that the insurance company will only pay. Your landlord’s policy may only cover the apartment and the grounds. As mentioned before, it’s not going to cover your property. Landlords are now requiring their tenants to have renters’ insurance policies. If you don’t know where to find the right coverage, your landlord can help you out. Now you know why it’s so important to have this type of insurance. Ask your agent how you can save money when choosing a new policy. You may get a discount if you purchase renters’ and auto insurance through the same company. Speak with your local insurance agent for more information.